The reality is, anxiety is on the rise, impacting an estimated 30% of the population, with pharmaceutical companies increasing sales for mood stabilizing and anti-anxiety drugs by over 65% in the past 15 years (1). Whether you want to deem it anxiety of just mismanaged stress, it is important to understand how you can arm your body to be more resilient to distress and anxiousness so you can experience your day-to-day life i with a more grounded balanced approach which will influence your cognitive function, mood, energy levels, sleep, hormones, metabolism, and overall quality of life. What Are the Downfalls of Conventional Medicine for Anxiety? In modernized medicine the first line of defense for anxiety and depression is medication that influences the way neurotransmitters are expressed. The most common drugs include reuptake inhibitors , typically serotonin in the case of SSRIs, or newer drugs targeting both serotonin and norepinephrine in the case of SNRIs. Neurotransmitters are chemical messengers that influence mood, sleep, digestion, libido, pain, concentration and focus, to name a few. Unfortunately, when reuptake inhibitor drugs are prescribed, doctors often don&apos;t test to confirm which neurotransmitter is imbalanced. Adding insult to ignorance, the drugs themselves do not increase the stores of the neurotransmitters; they simply recycle the already often low neurotransmitter, which can often lead to even lower production, driving more symptoms and mood instability. Rather than working to block a feedback signal as these medications do, using food-as-medicine and targeted nutrient supplemental support, one may be able to modulate or adjust the signal mechanisms while preventing excessive demand and even replete low neurotransmitters. 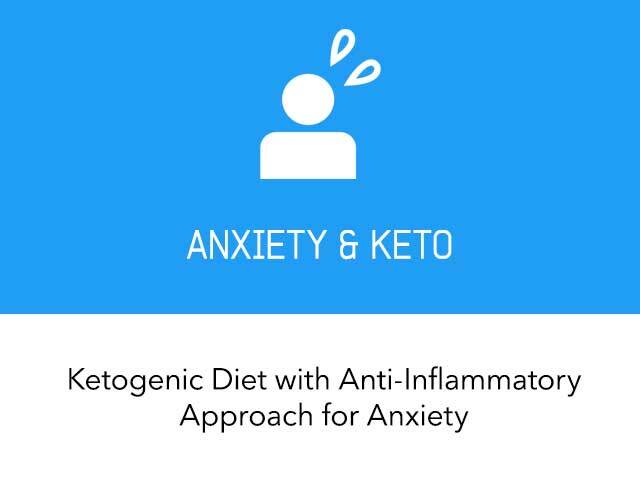 The ketogenic diet has recently been acknowledged as a novel approach to mood management both for its blood sugar reducing and stabilizing effects as well as the therapeutic benefits that ketones offer to neurological health. 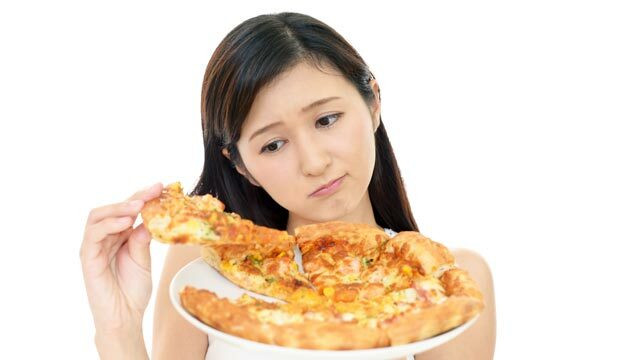 What Is the Link Between Carbohydrate Consumption and Anxiety? Researchers have found individuals with elevated blood sugar levels are more than two-fold more likely to develop depressive illness (2). Elevation of diabetic marker HgbA1C% is a known risk factor for dementia and is starting to be examined as a risk factor for depression, anxiety, bipolar, ADHD, and mood disturbance. Mechanisms may be due to oxidative damage impacting nerve function in the brain, elevations of insulin and inflammatory action, or irregular blood sugar levels and hypoglycemia. Beyond the benefits seen with reducing carbs in the diet to regulate these drivers, consistent restriction of carbohydrates to generate ketones will provide neuroprotective and mood stabilizing effects. You may have noticed that beyond reduced cravings ,you feel more grounded or balanced mentally. , In fact, my favorite testimonial from clients to date is, “I feel more like myself again,” when reflecting upon living in a ketogenic state. Ketone bodies have the ability to cross the blood-brain barrier and directly interact with neurotransmitters. How Does the Ketogenic Diet Help Manage Anxiety? Ion shifts that occur during ketosis are one mechanism by which the ketogenic diet reduces overactivity in the central nervous system (CNS) as a tool for epilepsy management. This same proposed mechanism is utilized to regulate mood and reduce excitatory neurotransmitter excess to reduce anxiety and stress response (3). In fact anti-seizure drugs such as Lamotrigine and Gabapentin are being used as antidepressants in increasing amounts and yet the same diet intervention for seizures can also be used as medicine for mood. Furthermore as ketones cross the blood-brain barrier, they can increase expression of GABA, a neuroinhibitory compound that mellows out the brain and body. GABA when too low is associated with rigidity, spasms, palpitations, tightness in the chest, and restlessness physically. Emotionally, low GABA can drive irritability, short fuse, racing thoughts, impulse control issues or compulsive eating and cravings. Increasing GABA expression with the use of nutritional ketosis can create stabilized mood and reduction of anxiety. Ketones in the bloodstream have been directly studied as a tool for mood stability and reduced stress activity, as they provide negative feedback to the fight-or-flight stress responding HPA-axis (4). The ketogenic diet may improve your mood by achieving a consistent low glucose level which reduces insulin response and has anti-inflammatory mechanisms while reducing excitatory neuron activity, helping to mellow out and stabilize your body and mind with increased GABA expression. Beyond the metabolic transition into ketosis, it is important to acknowledge that the foods we choose can have both beneficial or deleterious effects on our health. Beyond the reduction of carbs and reworking the diet to support production of ketones, it is important the diet is comprised of non-processed whole foods to get the most supportive brain balance. In fact, reduction of proinflammatory foods i may be key to uncovering the magic of ketones in people who have yet to experience the mood stabilizing boost. Inflammation is mediated by i chemical compounds (prostaglandins, leukotrienes, interleukins) that are released in excess in response to consumption of proinflammatory foods. These inflammatory chemical responders have the ability to cross the blood-brain barrier, directly interfering with neurotransmitter signaling, brain function, and mood stability (5). To add insult to injury beyond the impact on the central nervous system via blood-brain barrier, inflammatory chemicals in the gut use the enteric nervous system (the neurological system of your gut or second brain of your body) to drive fight-or-flight neurotransmitter signals. This means even beyond the foods themselves impacting our brain, when sympathetic stress responding neurotransmitters such as epinephrine (adrenaline) are released, anxiety, worry, and distress are perpetuated (6). This two-fold brain and gut response to inflammatory foods creates great interest in the field of neurology and psychology, and understanding this response may assist functional practitioners looking to treat mood disorders from the root cause. In a way, when the body is hit with inflammatory foods it responds in distress mode as there is chronic injury, and it uses fight-or-flight signals to “escape,” which can be experienced as a generalized state of unease. Diet can be used as a way to reduce inflammation to enhance neurotransmitter function and reduce stress response, alleviating the chronic fight-or-flight worried mode that can drive depression, anxiety, and panic. The top inflammatory foods to avoid in order to reduce anxiety and support balanced mood are: Corn, Soy, Gluten, and Dairy. Even within the constructs of a low-carbohydrate diet one may be consuming any of these inflammatory ingredients in the form of processed additives, binders, fillers, and sweeteners. Beyond the obvious high fructose corn syrup which shouldn’t be in the keto diet, many people eating low carb consume maltitol, sorbitol, and other corn-derived non-caloric sweeteners, as well as common preservatives and fillers such as citric acid, isomaltooligosaccharide, and even corn fiber to lower “net carbs” in low-quality low carb bars. Corn is high in omega-6 proinflammatory fats and is highly genetically modified, with dramatic increases of GMO crops hitting the market starting at 8% in 1997 and increasing to 92% in 2016 in the US (7). This GMO crop shift creates higher residue of glyphosate, an agricultural chemical which functions as a neurotoxin in the body. The primary GMO crop of corn and soy is "Roundup Ready," meaning it withstands higher amounts of this toxic glyphosate and other herbicides, allowing farmers to spray significantly more chemicals to deter weeds without killing the crop. This Roundup Ready GMO crop drives more toxic chemical residue and inflammatory impact. Soy is another highly genetically modified crop that has high residue of glyphosate (8). As noted above, the role of this chemical is a neurotoxin interfering with neurological system function, but what is interesting on the effects of glyposate and soy is that the compound interferes with the production of the essential amino acids phenylalanine, tyrosine and tryptophan (9). These amino acids have influences on mood stability and anxiety, with tryptophan serving as the building block to the well-known anti-anxiety and antidepressant serotonin. Even if not GMO, which is a slim chance, soy has high amounts of proinflammatory omega-6 polyunsaturated fatty acids and phytates, compounds that interfere with nutrient absorption (10). Beyond its anti-nutrients and inflammatory composition, soy can influence sexual hormones that can lead to imbalanced estrogen expression or estrogen dominance, which can further drive imbalanced mood, belly fat, and insomnia. Gluten has just as many hidden forms and can promote leaky gut by interfering with the zonulin junctions that serve as the bodyguard of your gut-blood barrier (11, 12, 13, 14). This means consumption of processed foods with gluten can drive leaky gut response, creating more inflammation due to larger particles of all foods passing into the bloodstream. Gliadin, the protein in gluten, also interferes with thyroid hormone function, which can drive imbalanced metabolism, sleep, and mood. Furthermore the gliadin interacts with opioid receptors in the brain that may lead to mood disturbances and perpetuate addictive tendencies (11). Clinical outcomes have been observed in reduction of anxiety, depression, and schizophrenia with strict removal of gluten in the diet, as gluteomorphin proteins are drivers of inflammation in the blood-brain barrier (12, 13). Dairy may be the most difficult to swallow as it is not an occasional treat in most keto lifestyles; it is typically a staple. Dairy has two primary drivers of inflammation: lactose and casein. Lactose tends to cause more digestive distress due to lack of lactase production, driving bloating, discomfort and bowel distress. Lactase enzyme supplements may help in this case. Casein — a protein in dairy — causes more inflammatory and neurochemical impact on the body as just like gluten, it has morphine-like influence via casomorphins that can drive irritability and mood disturbance. For this reason, studies have linked negative impacts of dairy on those with autism, ADHD, bipolar disorder, and other mental illness (15, 16). Not all dairy is created equal and in some cases benefits outweigh the potential negatives. Due to the role of casein on a neurochemical level, I remove dairy in my Anti-Anxiety Diet for 12 weeks, allowing casein-free sources such as ghee and grass-fed whey as early as week 7. To enhance your mood and get the best food-as-medicine influence from your ketogenic diet, work to eat whole foods which will eliminate the concern of byproducts. 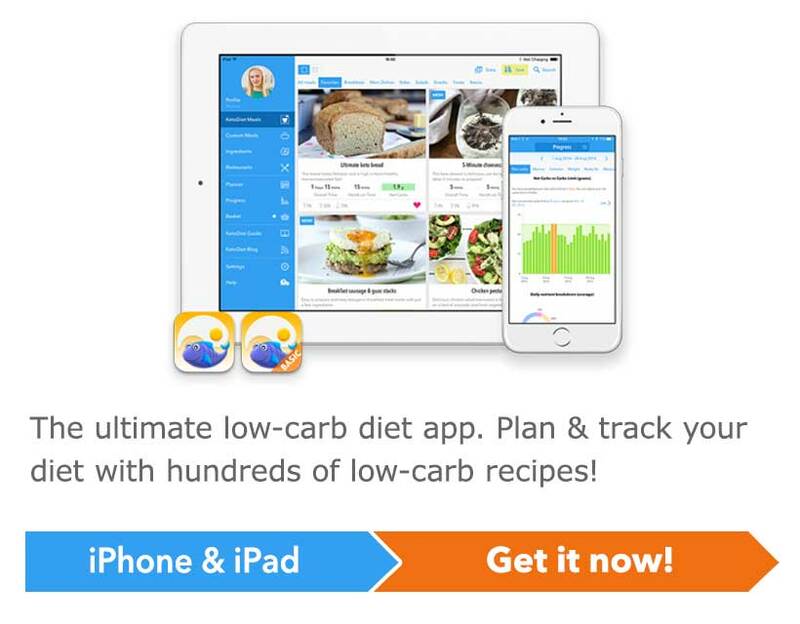 Replace processed bars, shakes, and keto desserts with nut butters, homemade unsweetened fat bombs and other sweetener-free and dairy-free keto treats, roasted vegetables, clean proteins, and savory combinations of real single-ingredient foods. The Anti-Anxiety diet is all about removing sweeteners (even non-caloric ones),focusing on channeling savory to create grounded stable energy. 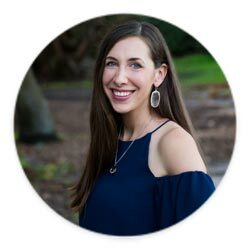 The savory keto approach allows one to break up with sugar for good and reduce food addiction and cravings, which tend to create guilt, shame, rumination, and more anxiety! To reduce the reactivity of gluten and casein when dining out or if indulging on a cheese platter over the holidays, consider using a quality digestive enzyme that has hydrochloric acid (HCl-) and dipeptidyl peptidase-4 (DPPVI), just like those with acid reflux issues. This is important as low stomach acid will reduce the breakdown of these compounds,making them more irritating,and DPPVI reduces opioid-activity of these ingredients. Sub out dairy for coconut milk or nut milk, [nut-cheese]/Blog/lchf/probiotic-dairy-free-keto-cheese), meats, avocado, and herbs.Often, replacing dairy with another pungent flavor works well. Grass-fed whey in a non-denatured form and ghee may be considered, as they are free of both lactose and casein. 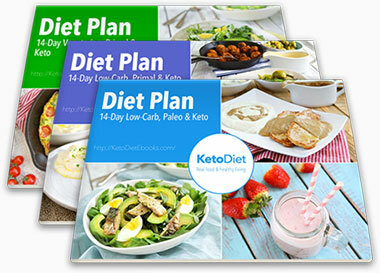 Keto is a great step in the right direction for neurological health and for some people it may be enough, but if you are feeling “off” or not feeling grounded or constantly dancing from feeling stressed and wired or stressed and tired, you may want to remove these four ingredients for at least eight weeks to reset your system and reduce inflammatory stress. Practicing a low carb diet supports your mood through regulated blood sugar levels and less energy irregularities, whereas the ketogenic diet will provide additional support in managing stress response and anxiety tendencies via inflammatory and neurotransmitter mechanisms. The influence of ketones can be further enhanced by the application of an anti-inflammatory diet that is supported by optimal digestive system function. Anxiety can drive excessive stress response, heart palpitations, body temperature changes, and a generalized feeling of unease. Consider taking your ketogenic diet to the next level with removal of corn, soy, gluten, and dairy, while eating i an abundance of quality fats, leafy greens, herbs, spices, nuts, seeds, berries, and clean sourced protein. How about soaked and dehydrated peanuts? Should they also be avoided? Thank you! I have been struggling with anxiety and depression for years. Keto helped me overcome some of the worst symptoms but I still feel there is room for improvement. I haven't eliminated dairy and sweeteners yet but I'll give it a go. Thank you so much for sharing your knowledge!